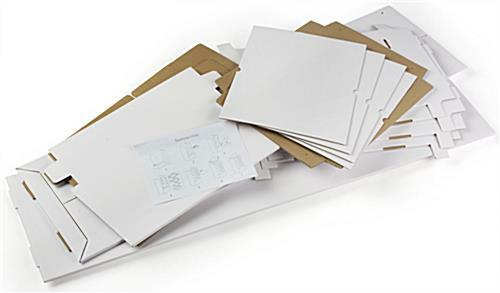 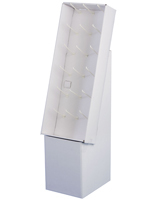 This cardboard dump bin for convenience stores, boutiques, and all manner of retail outlets is an inexpensive way to dispense items for sale in a store. 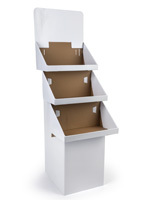 Two sided floor displays such as these made of lightweight corrugated materials can distribute everything from stuffed animals to boxed foodstuffs. 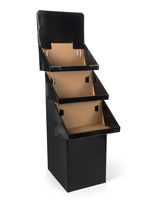 This dump bin has four tears for four separate categories of supplies. 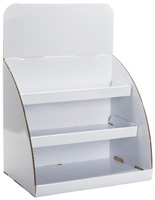 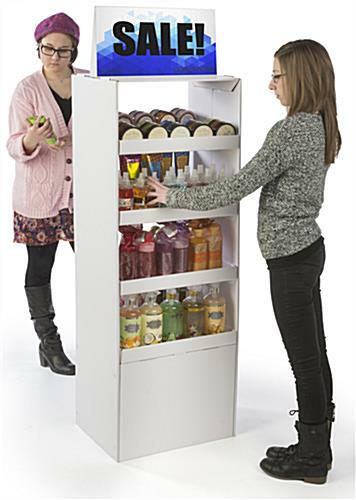 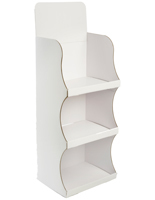 This two-sided shelf display is easily accessed by customers on either side. 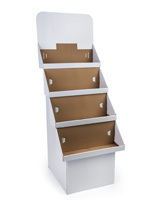 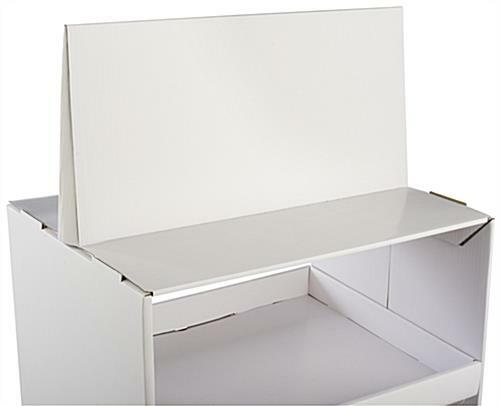 The unit ships flat to save money, with instructions for easy assembly. 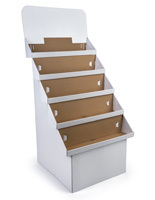 This dump bin has a detachable header for pricing or to quickly identify contents being stored. 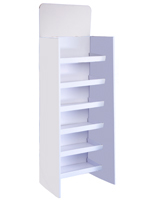 20.0" x 65.0" x 15.0"
19.3" x 2.0" x 15.0"